Journey To A(nother) Marathon: Signed up! Tonight, I signed up for my first marathon. I plan to run the Chattanooga Marathon on March 6, 2016. My primary sport is endurance horseback riding (50-100 miles in 12-24 hours, respectively). I took up running years ago to help with my fitness to give my horses a balanced, fit rider to help them through their events. 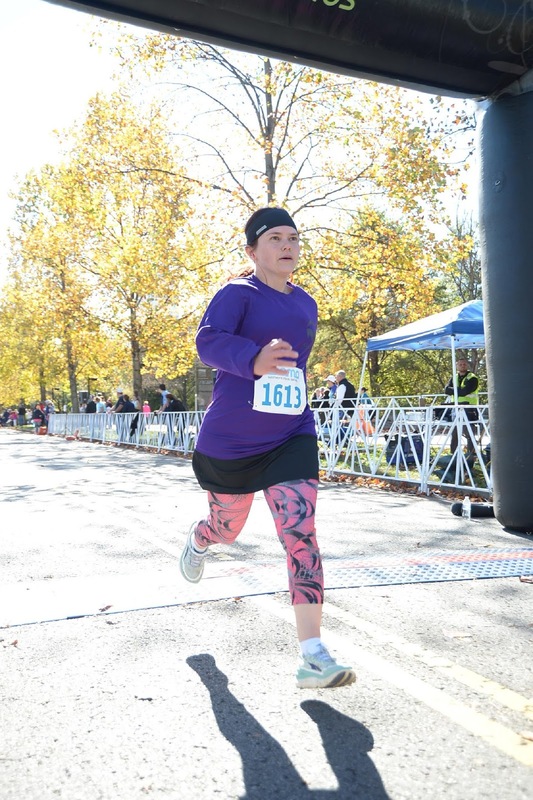 Me crossing the finish line at my most recent half marathon. 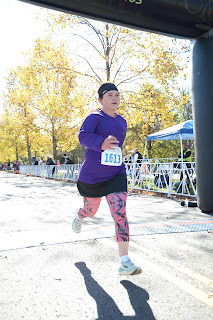 I dabbled in running events and ran a 5k, then a couple of 10ks. Then I broke my ankle in a horse accident. When I came back, I started running again and did a couple more 10ks. Then my first half marathon last year and finally another half marathon this past weekend. While browsing for an early spring half to keep me running during the winter, I stumbled upon the Chattanooga Marathon. They are indeed running a half. But the half distance no longer scares me. The marathon distance, however, freaks me out. I think I might could do it, but it's scary.